We are excited to offer you milk in glass bottles. Why? IT JUST TASTES BETTER! Glass bottles keep the milk colder and retain its fresh taste. Furthermore, glass is more environmentally friendly than paper cartons or plastic jugs. 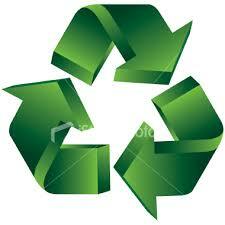 Our bottles can be washed and reused as many times as they are returned. This "greener packaging" results in less waste added to landfills. We are a small family run dairy and we are able to pay close attention to every detail which results in the "Highest Quality Process Milk Available!" Your delivery will be on the same day every week, once a week. You also have the option to get deliveries every other week, or once a month. Click on the attached link to get started !! www.kingbrothersdairy.com. After your information is entered you may place your first order! You will not see a submit button to enter the order. If you click on the shopping cart tab you can view your order and the starting week. CAN I SET UP A RECURRING DELIVERY? I'M GOING ON VACATION, CAN I STOP BY DELIVERIES WHILE I'M GONE? Yes. Deliveries may be suspended while you are on vacation. Click on the skip delivery tab to enter your vacation dates. Midnight Friday is the deadline for the following week. No. Our driver will place your order in a cooler or porch box. If you do not leave your cooler out, your milkman will not leave your order unless you have made prior arrangements. This ensures that milk does not freeze in the winter or spoil in the summer. We can not be responsible for frozen or spoiled milk once it is delivered. You will still be charged the delivery fee if no cooler is left out and no one is home to accept delivery. HOW WILL MY MILK STAY COLD ON MY DOORSTEP? Customers can provide an insulated cooler to receive delivery or purchase a decorative insulated King Brothers Dairy porch box ($74.99). During warmer weather we suggest that you add ice or a freezer pack to the cooler the morning of your delivery. During extreme cold add a towel in the cooler for extra protection. IS THERE A COST OF RECEIVE HOME DELIVERY? **If no one is home and no cooler is left out you will not receive your products. However will still be charged the delivery fee of $3.99 to cover costs. **Also note that our glass bottles have a $1.50 refundable deposit, which is refunded when the bottle is returned. Leave your rinsed out bottles by your cooler for pick up. Please remember to keep the caps off and rinse out the bottles. We accept credit and debit card for payment (Master Card, Visa, Discover and American Express). When you set up your account, you enter your credit card information. You will receive a bill via e-mail. We only accept credit or debit card for payment. Credit cards will be processed within 24 hours of delivery. If your credit card is declined customers will be placed on hold for any future orders until your outstanding balance is paid in full. Your satisfaction is our top priority. Please call us at (518)695-MILK (6455) or email us at service.kingbrothers@gmail.com. We are committed to providing you, our customer, with the freshest milk and quality products. Should you not be satisfied with our milk or other products, please notify us within two (2) week of delivery and we will gladly exchange your product or credit your account for the purchase price. We do our best to maintain competitive pricing. From time to time we find our costs change, sometimes increasing and decreasing. As a result, please note that all prices are subject to change with little or no notice. As warranted, prices may be adjusted at any time during the month. DO YOU USE GROWTH HORMONES OR ANTIBIOTICS? Our cows receive antibiotics only when they are sick and in need of an antibiotic. In that case, their milk is taken off the line and NOT used until they are deemed healthy and antibiotic free. We never give our cows antibiotics as a preventative method nor do they ever receive growth hormones of any kind! No, We follow traditional farming methods which are similar to that of organic farmers. For example, what the cows are fed here is grown here which is a mixture of hay, corn, soybean and minerals. This means that we work closely with local soil conservation groups to preserve the soil and prevent erosion . Yes, as required by New York State law. We do offer several different approaches that makes our Milk by far the Best Tasting and Freshest available due to our pasteurization and bottling process! We pasteurize using a HTST system which means our milk is heated to 165F for 18 seconds and then cooled. Many grocery stores pasteurize at a much higher temperature ( approx. 280F). This does provide a longer shelf life,but strips the milk of its natural proteins, health enzymes and flavor.